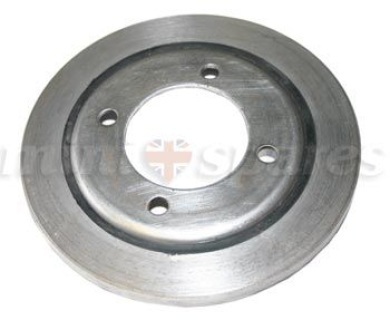 CRANK PULLEY DAMPER ONLY "S"
For high performance engines an efficient crank damper is a necessity to reduce failure. The standard damper commonly used is barely adequate for the standard A-Series engine. We carry the Mini Spares reproduction of the original "S" damper pulley which is far superior to the standard item. 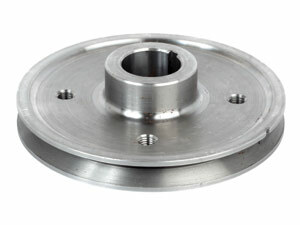 The damper ring 12A367 is bolted directly to the V-belt crank pulley C-AEG454. The damper must be balanced to the pulley to provide longevity. 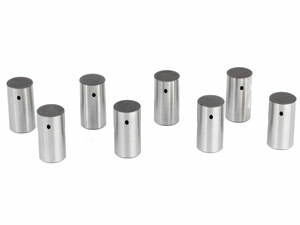 The special lock tab C-AHT146 is also available to lock the crank bolt firmly.